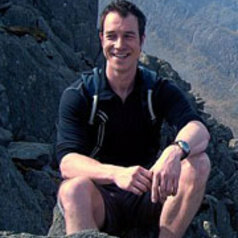 Having obtained his PhD within the field of Psychomotor Behaviour from Bangor University in 2005, Gavin spent 2 years as a Postdoctoral researcher within the Motor and Behavioural Science Research Group at the University of Leeds. Whilst there, he produced research into the mechanisms of control and disorders of co-ordination in conditions such as hemiplegic cerebral palsy and developmental coordination disorder. Gavin currently works as a lecturer in Motor Control and Learning at School of Sport, Health and Exercise Sciences, Bangor University. His research interests include visuo-motor control with a focus on feedback processing, motor programming, skill learning and the attainment of expertise. He regularly presents his research at international conferences and as guest lectures within both the sport and health sectors. Gavin recently received funding from the European Social Fund (ESF) to conduct research into enhancing the motor skills of individuals with learning disabilities. In addition, he is involved in a separate successful ESF bid in order to develop and utilise an advanced virtual environment to enhance rugby skills training and performance of elite rugby players. He is a keen sports man and is passionate about applying the research within the field of Motor Control and Learning to help individuals and teams accelerate towards the attainment of expertise.